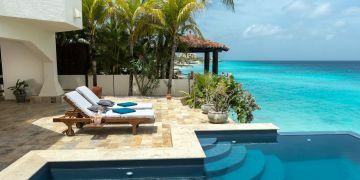 This hacienda style residence (called “Banda Mehor”) offers stunning views from its wide seafront location. 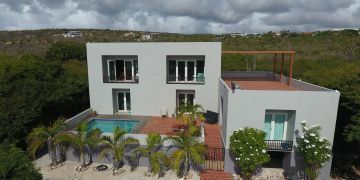 The variety of playfully scattered buildings provide a way of life where in- and outdoor living merge seamlessly. 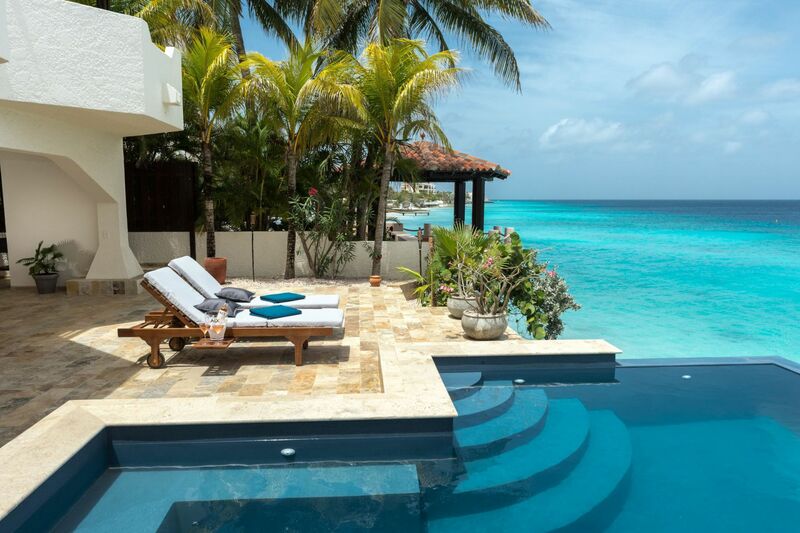 The mesmerizing colors of the Caribbean Sea are clearly visible from every room in this property. Lot exists of two 74A: 295 m2 and 74: 785 m2. 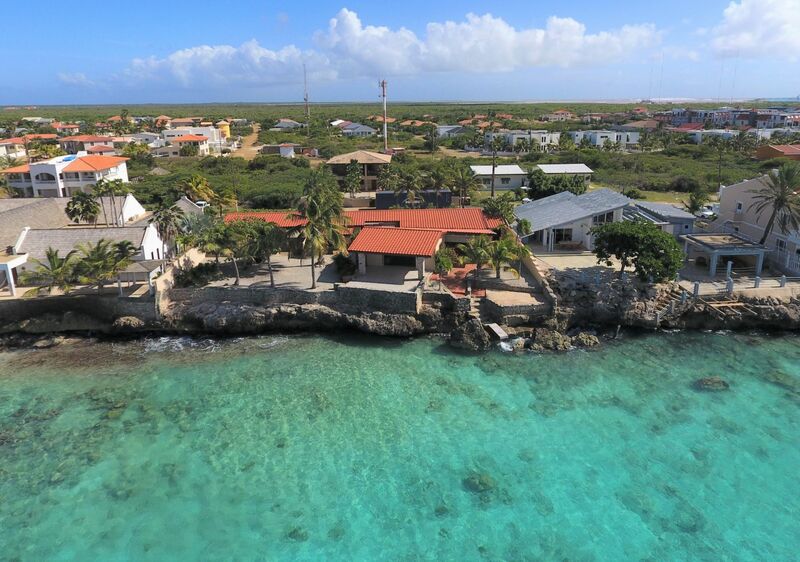 Destination: 'Gemengd IV' - in the Spatial Zoning Plan of Bonaire. Lots with this indication are destined for homes. Also allowed is the construction of recreational homes, resorts, hotels and recreational apartment buildings. Within resorts and hotels, restaurants and shops are permitted. Entrance to covered court yard, (seafront) living room with modern & equipped kitchen and covered terrace, guest bathroom, master bedroom (built-in closets) with private bathroom, office room, two separate studios (built-in closets) with each a kitchenette and private bathroom, laundry/pantry. Separate workshop/garden tool storage. Garage and off street parking. Aluminum stairs leading into the sea. Drip system in the garden.